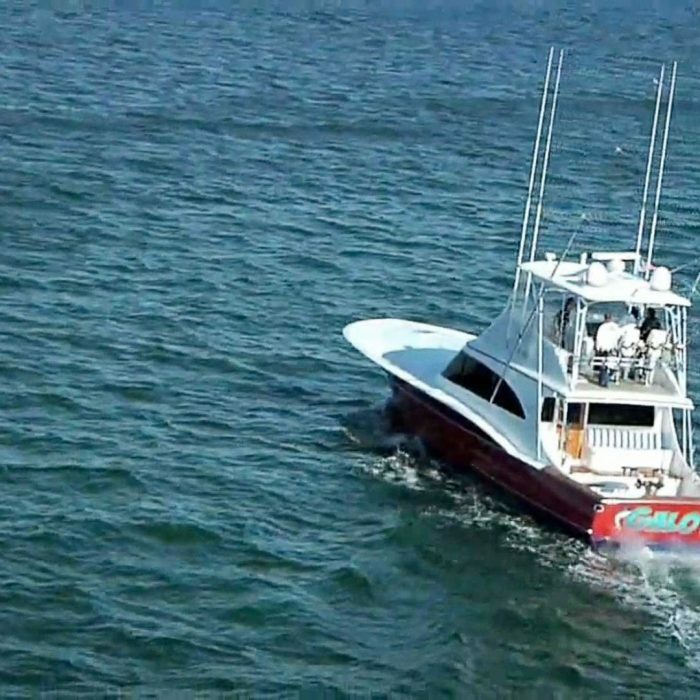 The Winter 62′ Convertible is designed and built primarily for deep sea fishing, with sport fishing tournaments in mind. 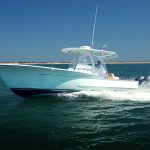 It was built for speed, with extended run capabilities to carry her to and from the canyons in the North and through the Bahamas to the south. 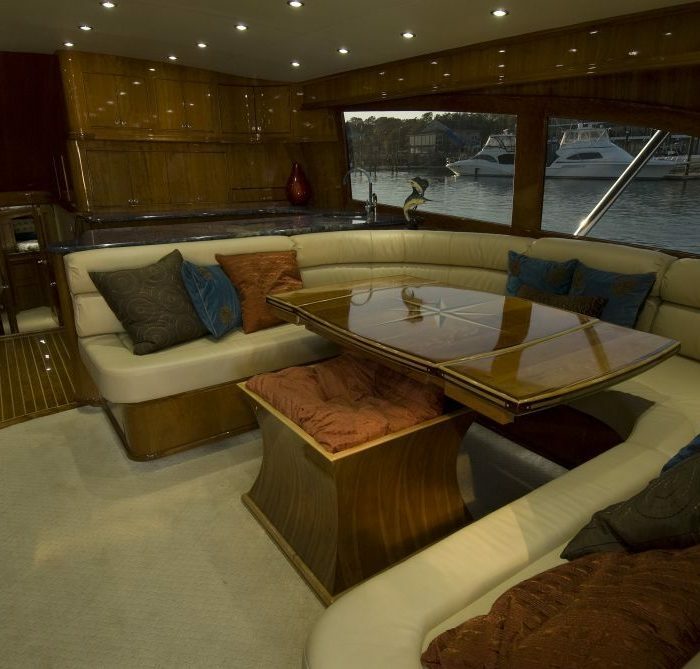 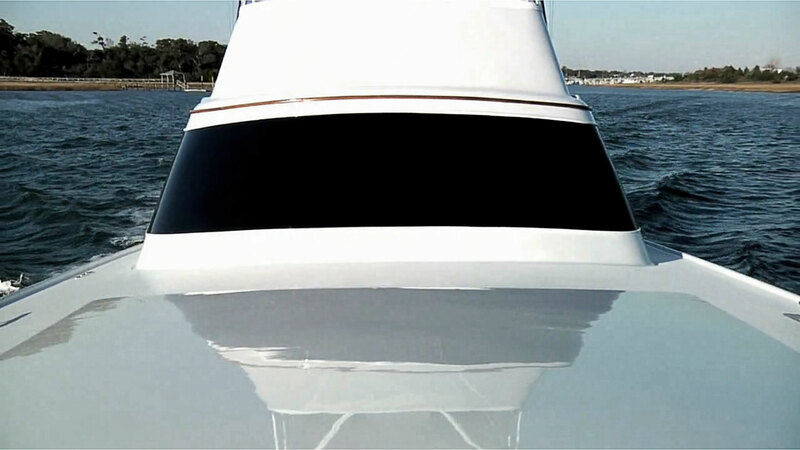 Her cold-molded classic Carolina hull and topsides make for an attractive well-built boat. 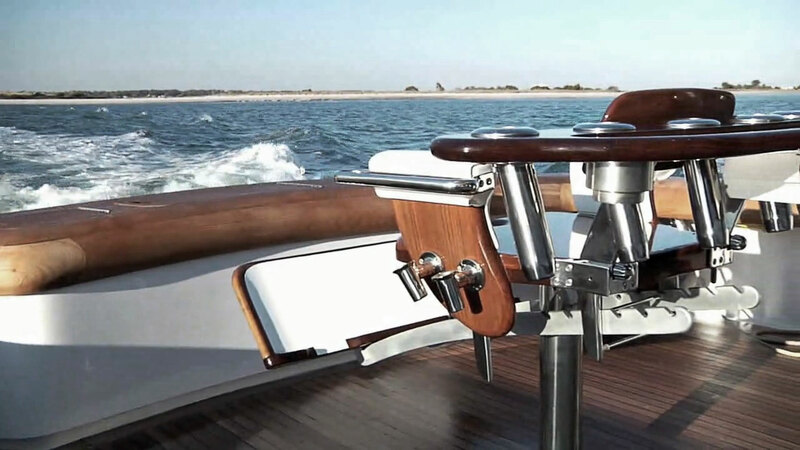 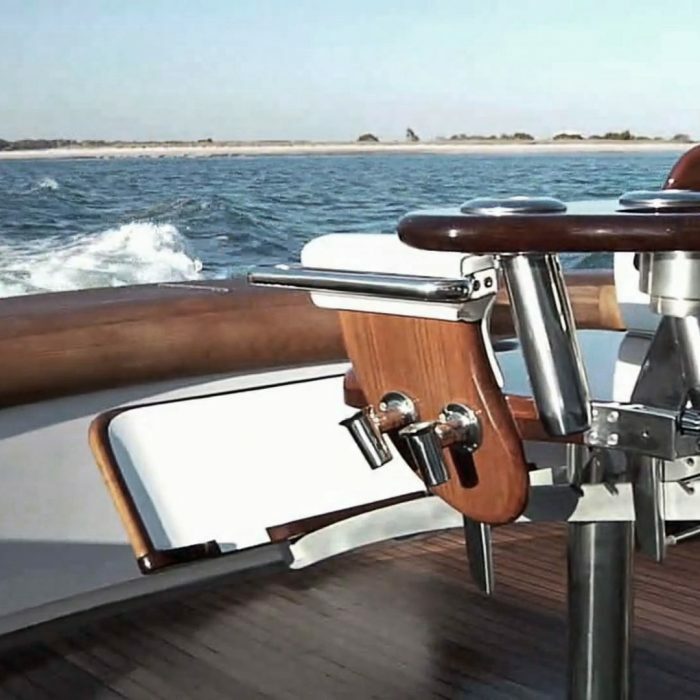 Her sharp lines and extensive teak throughout the cockpit produce a distinct look. 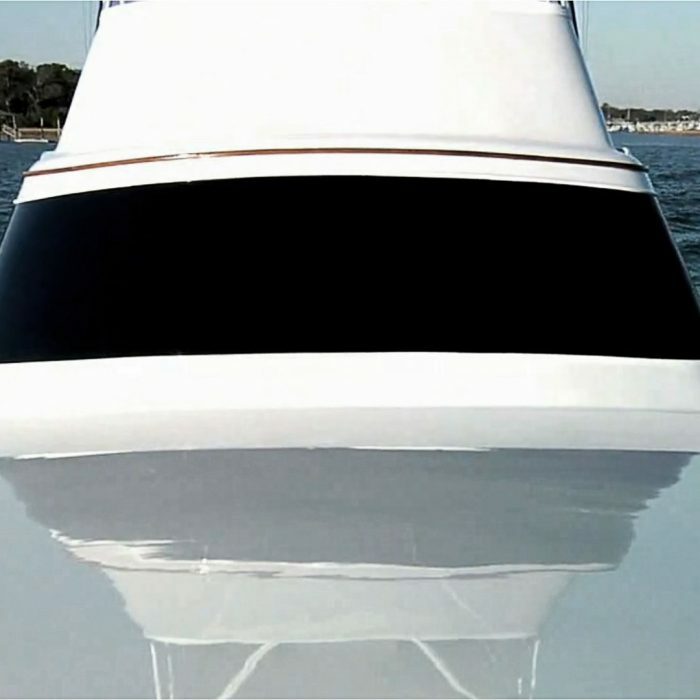 Her underwater body incorporates the sharp entry of classic Carolina boats with moderate dead rise at the transom improving stability and performance. 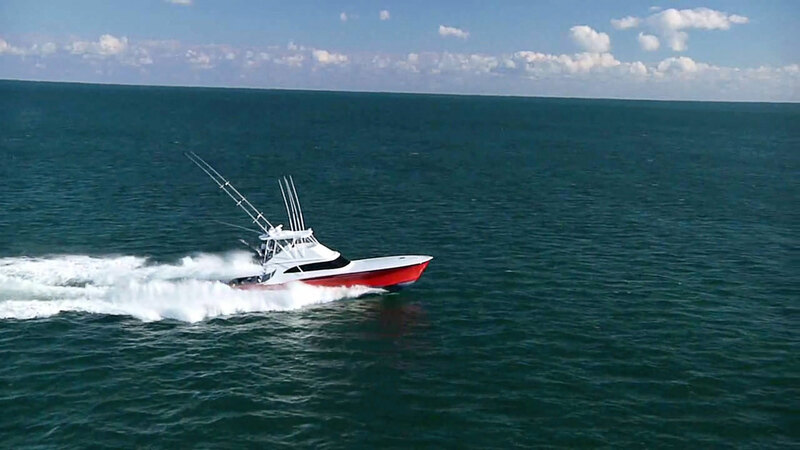 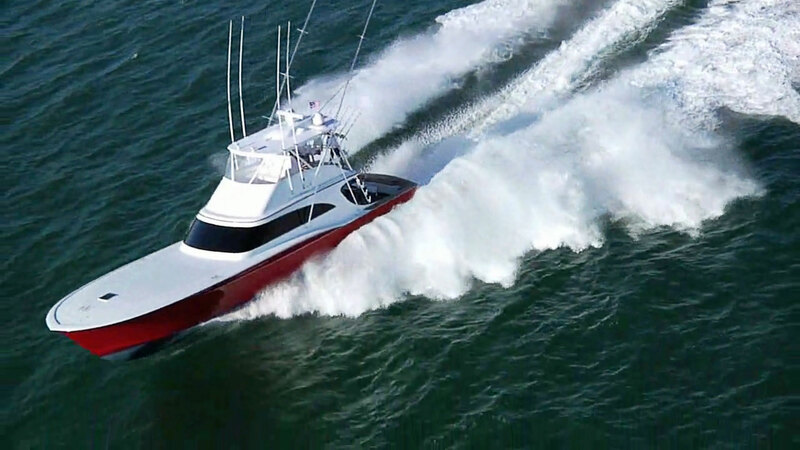 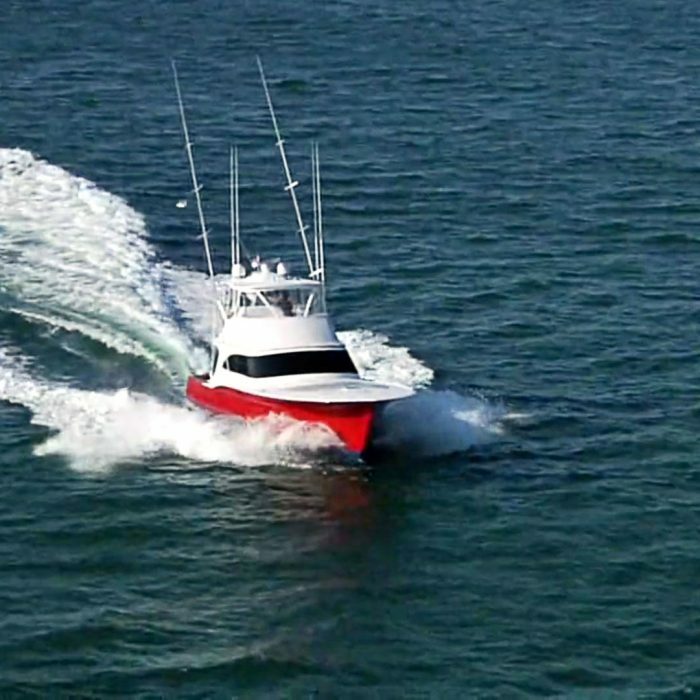 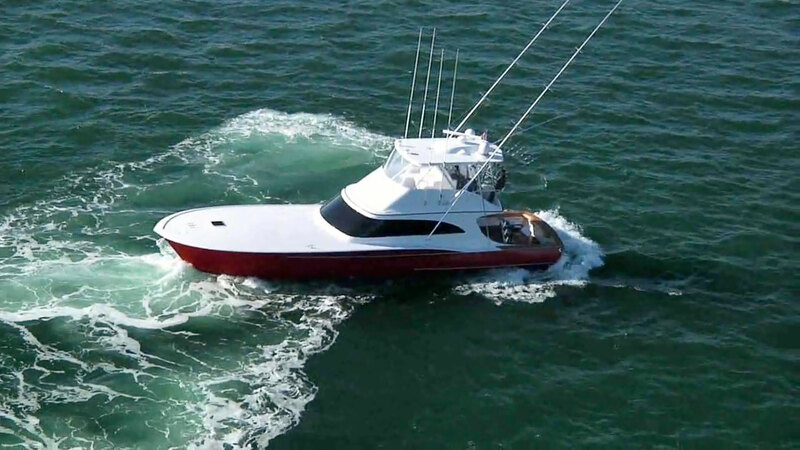 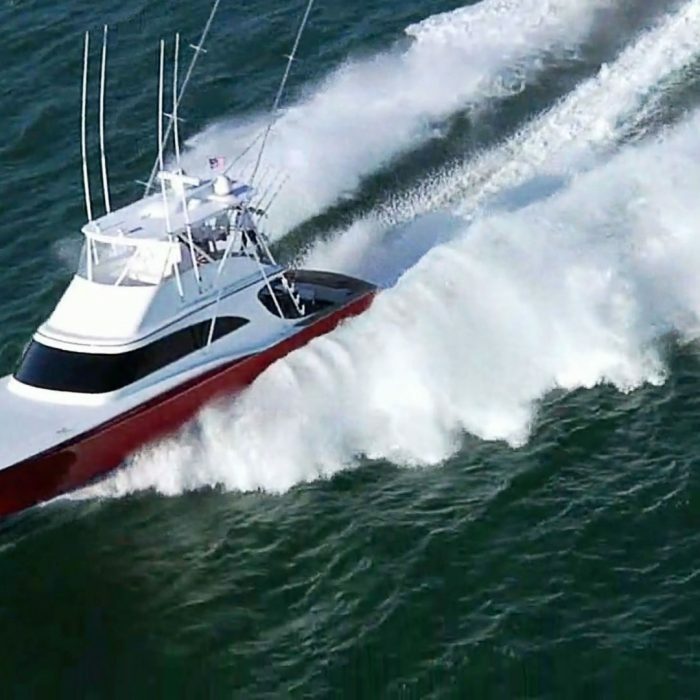 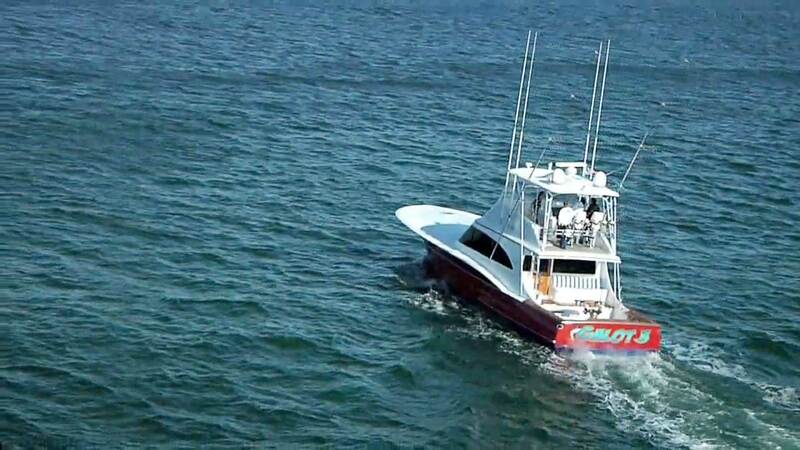 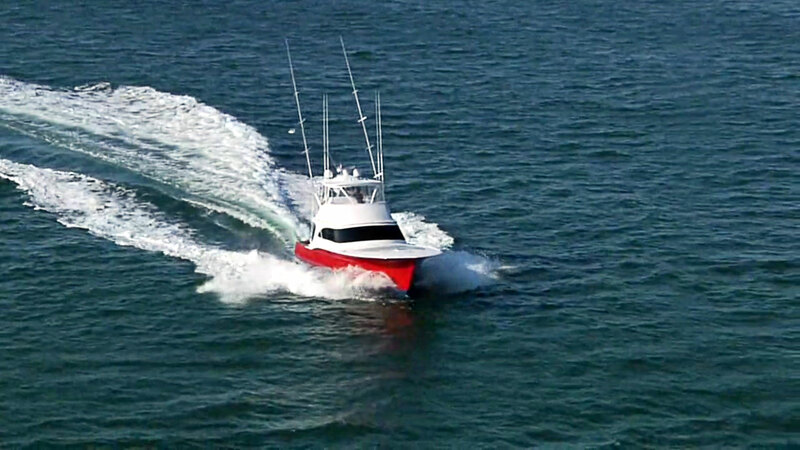 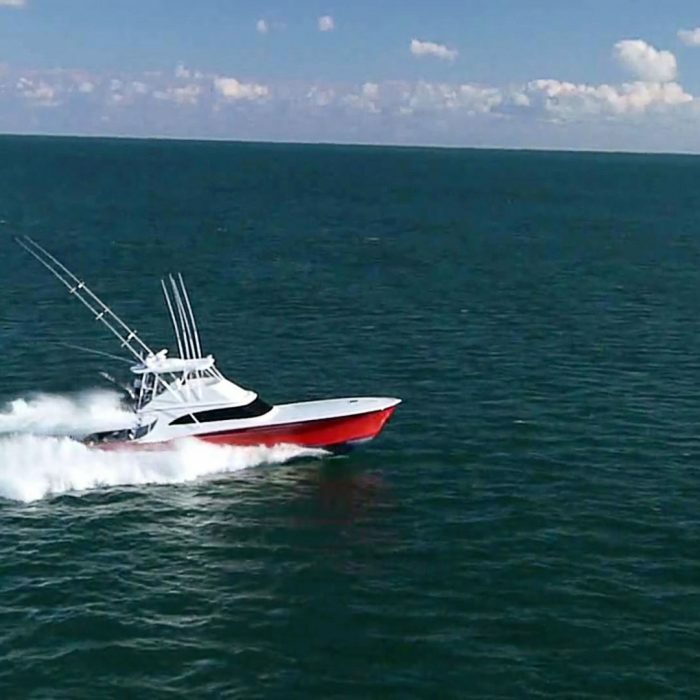 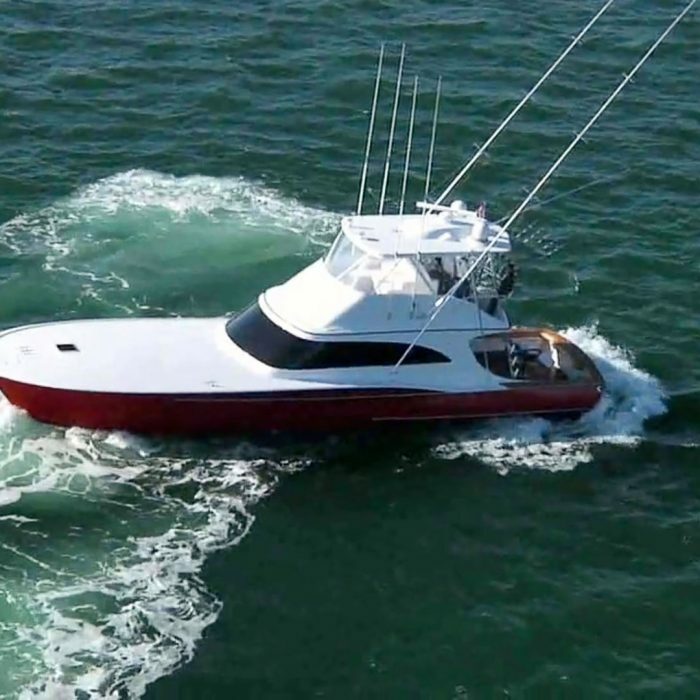 W1 is a high-end sport fishing vessel capable of traveling long distances and running with the best. 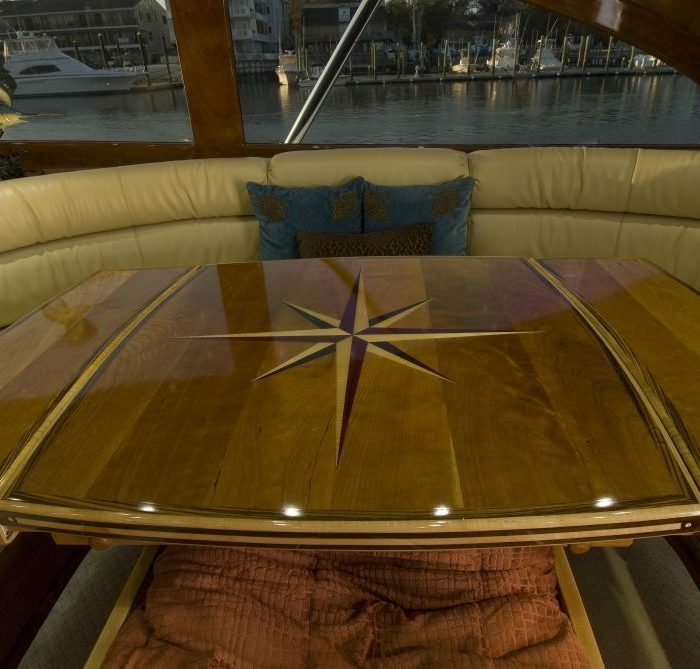 In the cockpit, she is fitted with teak decks, teak covering boards with full bolster, and teak salon door. 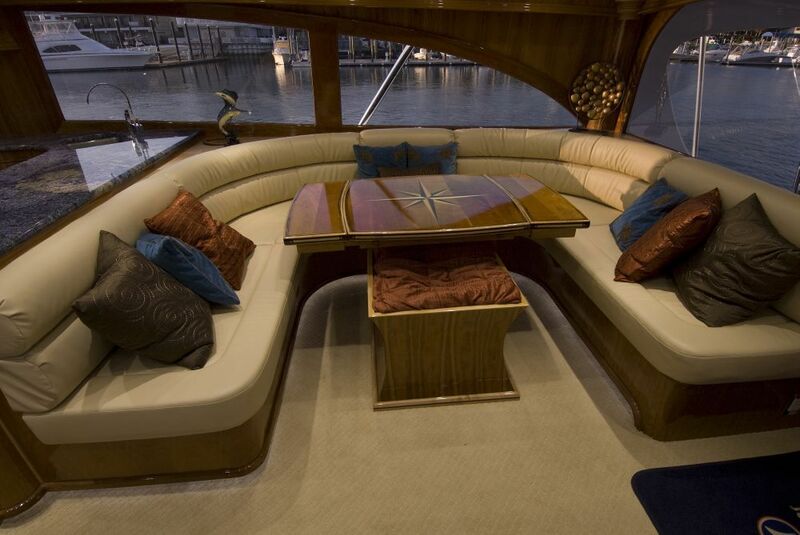 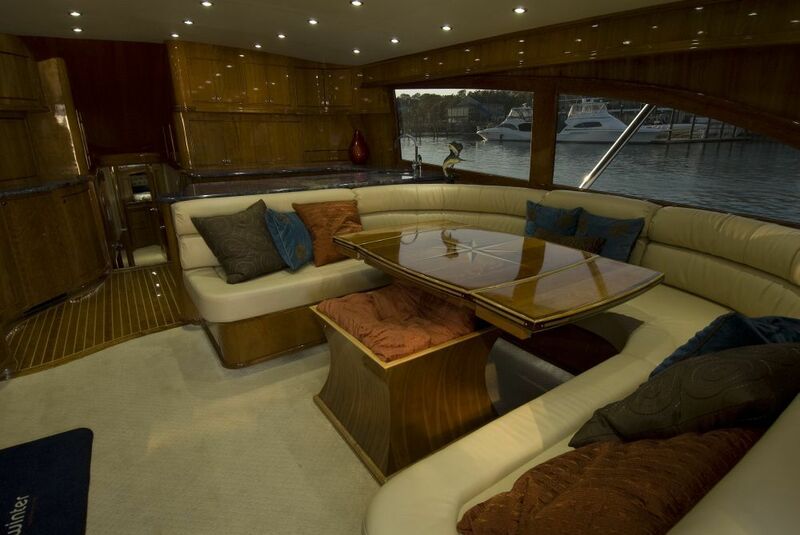 The bridge features a port side peninsula console with wrap-around seating. 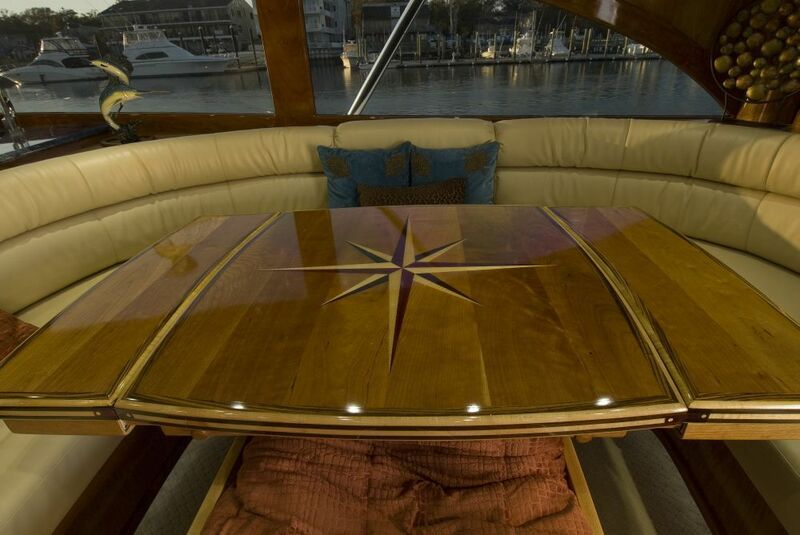 The salon features a custom cherry interior with high-gloss finish and chrome accents. 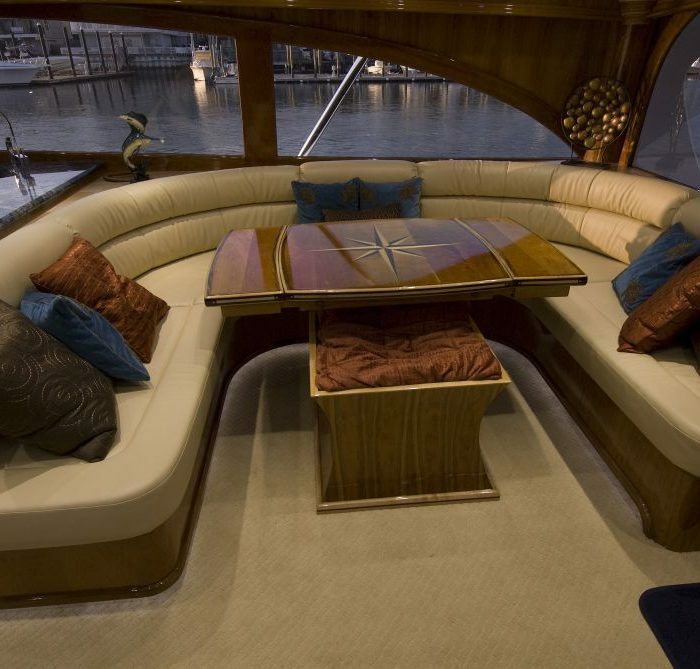 A custom wrap-around couch is opposite the entertainment center with TV and lift. 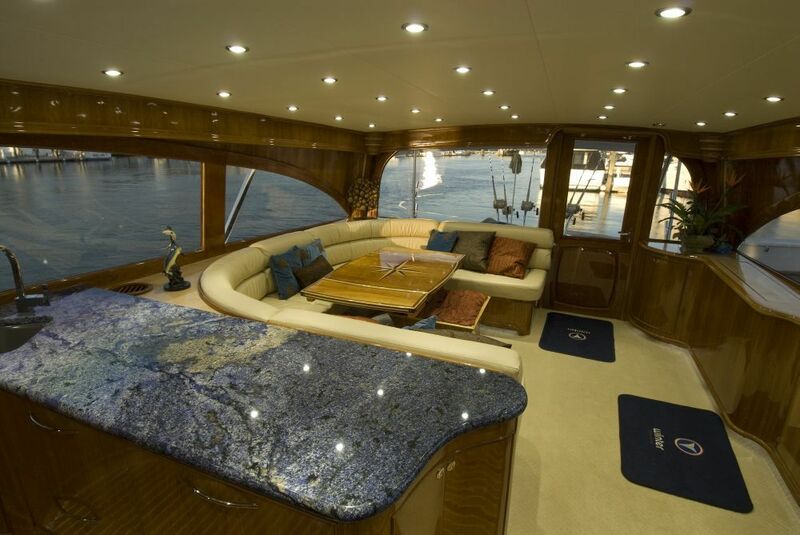 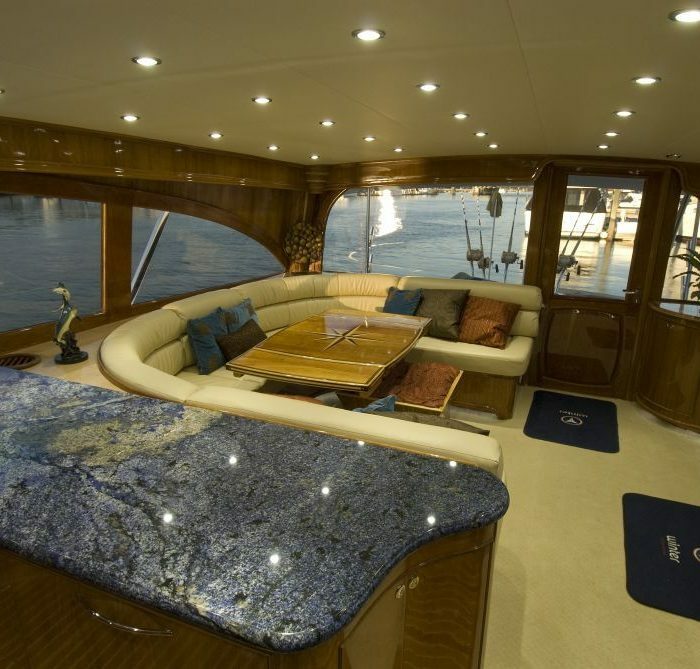 The galley holds dual Sub-Zero refrigerator and freezer units under Blue Bahia granite countertops. 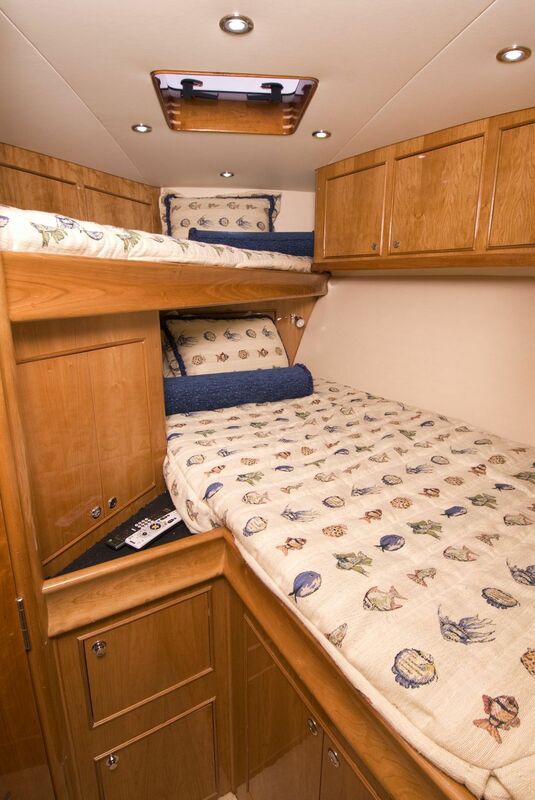 The galley conceals many features, including: a microwave, food storage, and cooktop. 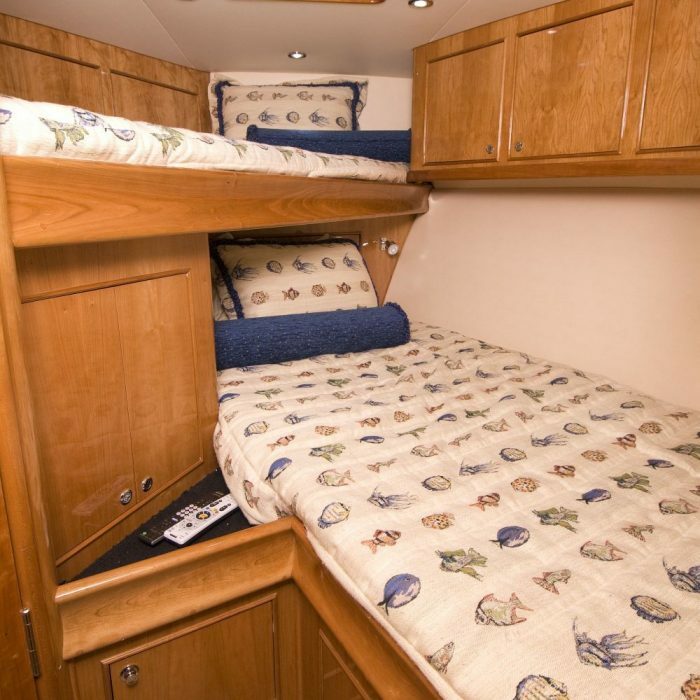 Downstairs to port is the day head with combination washer and dryer unit with shower. 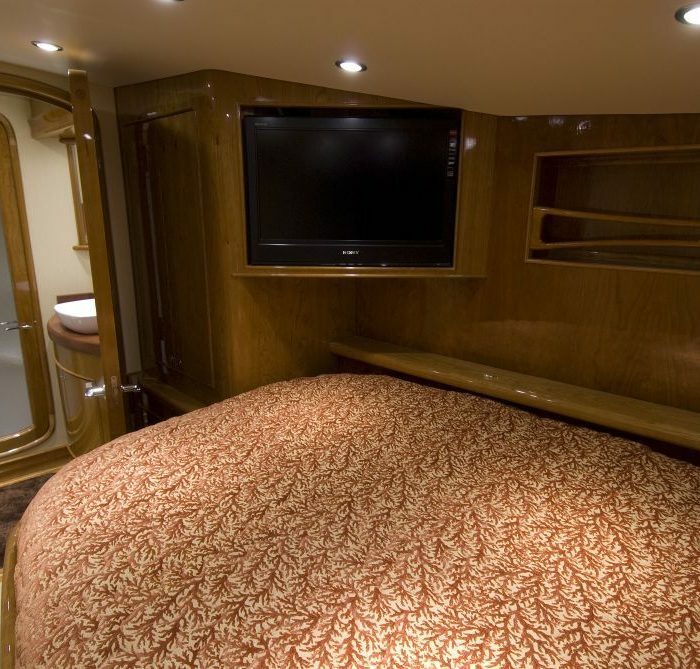 Opposite of this room is the master stateroom with private head. 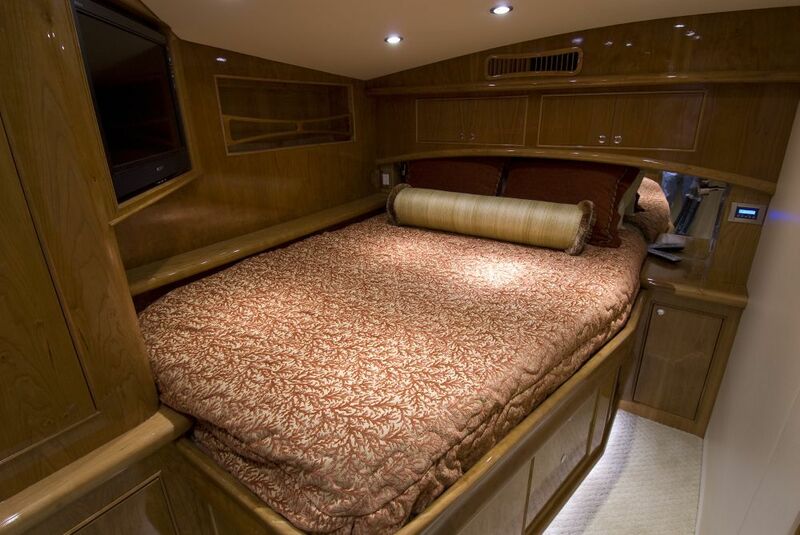 The master queen-size bed is surrounded by custom cabinets. 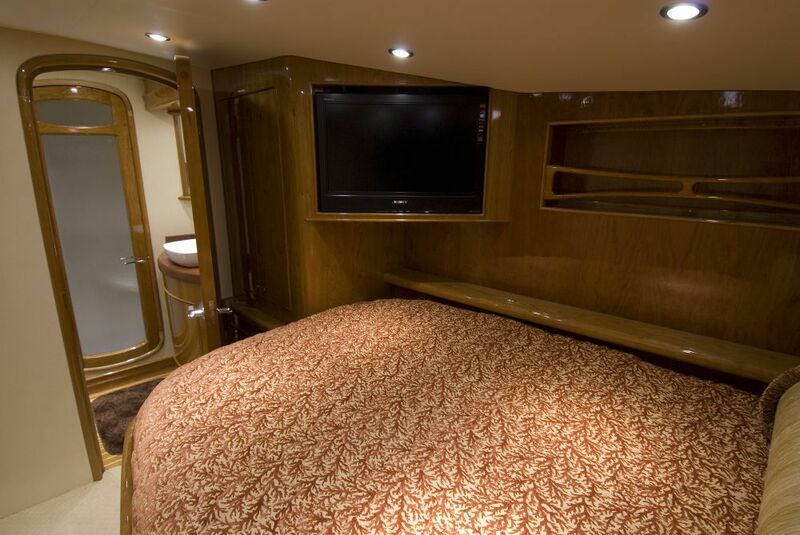 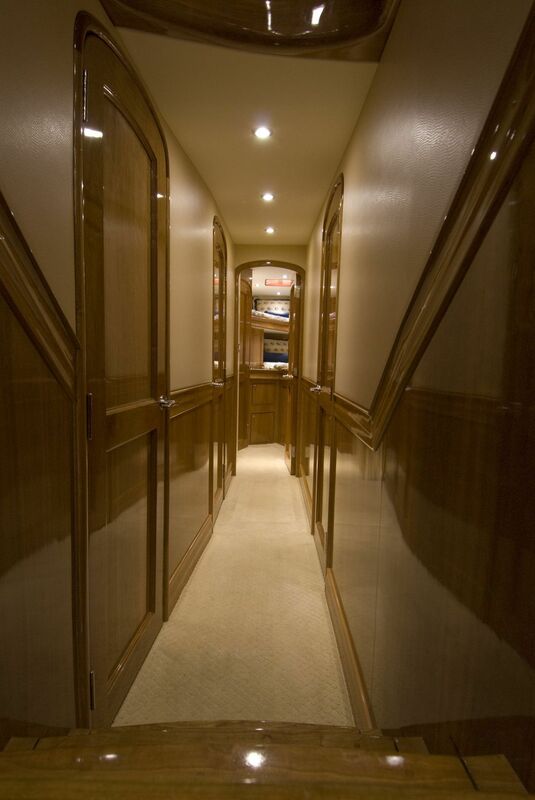 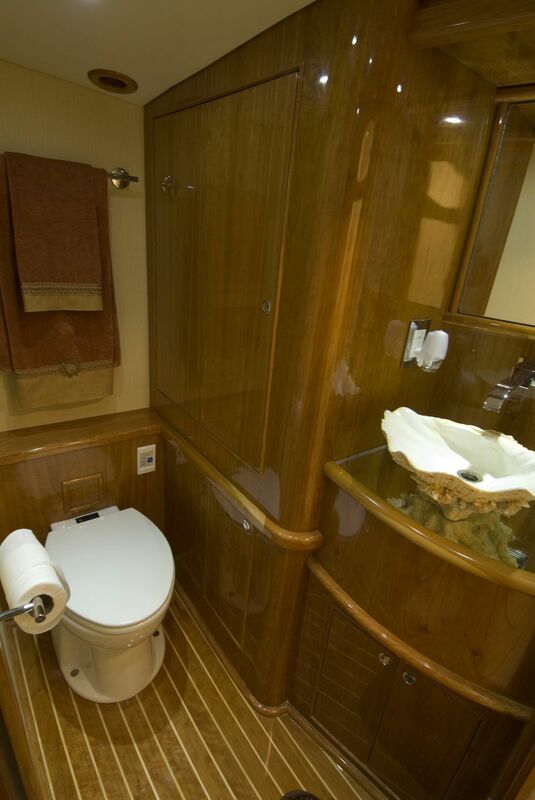 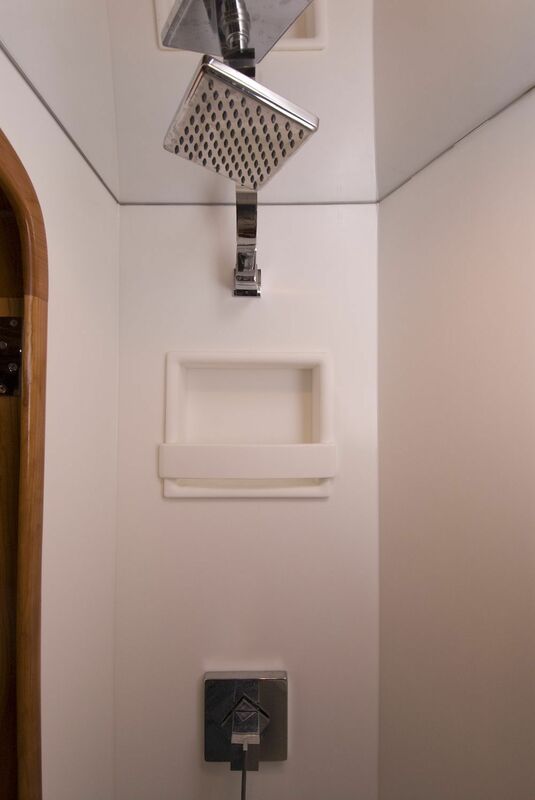 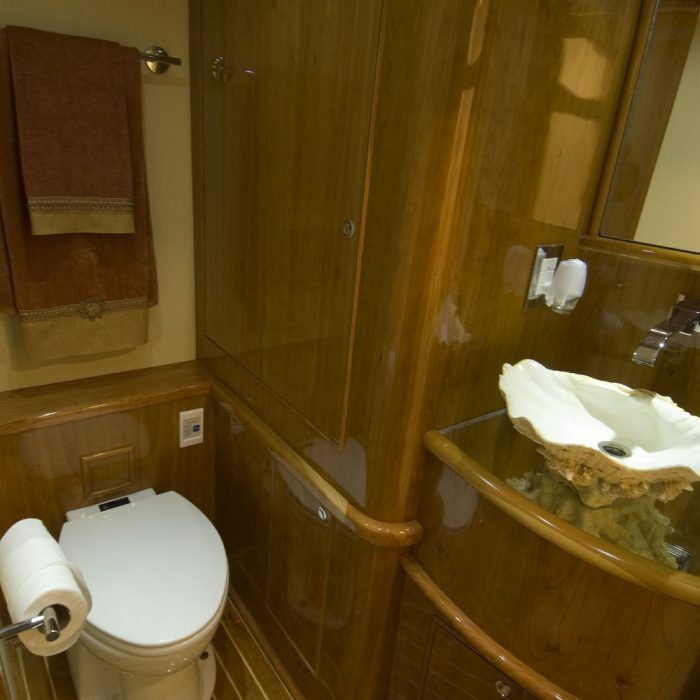 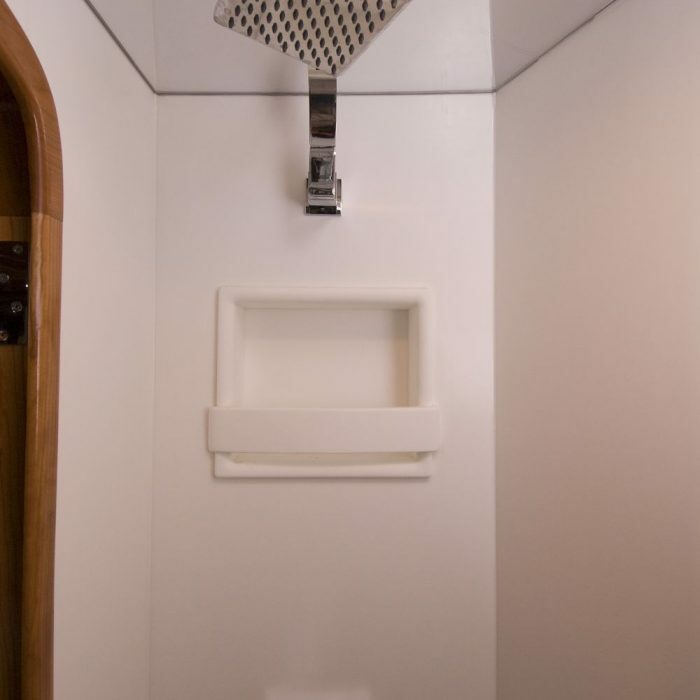 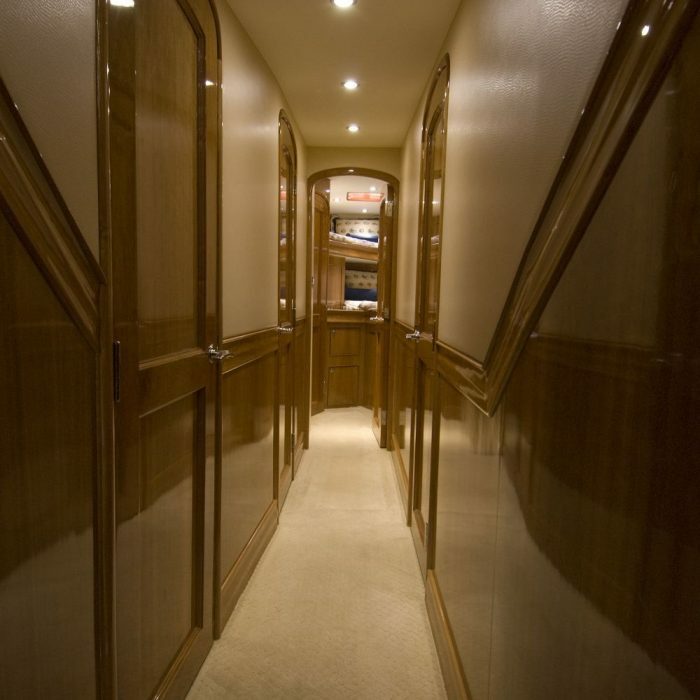 Private crew bunks to port and in the bow include over-and-under bunks with hanging lockers.